You may have noticed that retro kits are pretty de riguer. A little while ago, I recorded a podcast with John Devlin on the subject of re-releases, or reissues, and specified to him that we’d be discussing that complete copy culture specifically - though not without its discrepancies in most cases - and not the - subtly different - trend for new kits that look a lot like previous ones. Cover versions, if you will. And as the global authority on cover versions (even with the spelling mistake, it got me Keane tickets dinnit) I intended to chat to someone - perhaps John - about the latter at a later date. Inadvertently, that later date arrived with our talk about the 2018 World Cup kits. France, the recently-crowned world champions. That has a lovely little ring to it, right? Anyway, remember when they were reasonably crap? Even with Michel Platini in the side? You prossibly weren’t born, but that was the case in 1978, and they were so crap that they - kinda - brought the wrong kit to a match against Hungary at the 1978 World Cup in Argentina. The solution? They wore a local side’s green and white striped shirts. The full story can be read here, but they’ve never revisited that shirt - not for their next appearance in a South American World Cup in 2014 (Brazil), and not for this year’s 40th anniversary. So they should. As a DesignFootball.com member has implied here. And here. And here. And sortof here. How about the post-Vapor kits that Atlético Nacional wear? Could something like that work? With, of course, blue shorts and red socks. A special edition of that shirt in black and amber would have been perfect. Alas, it never materialised. It should. Just like a DF member has implied here. And here. And here and here and here. For now, we’ll just have to make do with their latest Third, with its subtle band of tiger stripes. A lot of people don’t know this next one. When people think of sash shirts, it’s Peru. Or River Plate. Maybe even Crystal Palace. But Sheffield United? Surely not. 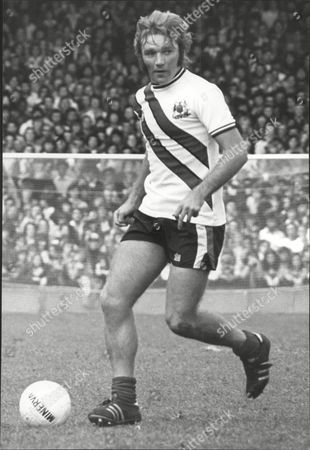 Well, one of my favourite ever sash designs was worn by the Blades in the 1970s, and done tastefully, faithfully and minimalistically, it’d look as great as before. Just don’t do something like Norwich City and Errèa have done and ruin a not entirely dissimilar double sash shirt with a horrendous sponsor. Anyway, for Sheffield United, the reprise would be fantastic. Utterly superfluous - as the fans noted when a similarly proportioned change shirt was mooted - but fantastic. Finally, the Cork City version of the West Germany 1988(-91) “ribbon” shirt. You can read all about it here and here - there’s a lot of Denis Hurley in this article, and rightly so - but the rebirthed Rebel Army have “returned” to adidas, so they simply must have their ribbon shirt back - Germany have theirs, and it’s recently emerged that the design is on its way to a teamwear catalogue near you. Will it appear, for some professional sides, with bespoke colour configurations even for the ribbon? Let’s hope so. Museum of Jerseys has, of course, had a play. In recent seasons we’ve had the Southampton shirt with the single central stripe (and sortof not) and the Birmingham City “German flag” design return - two designs not entirely dissimilar to each other, if you think about it. All of the above would be just as welcome, so let’s hope at least some somehow come true.